DOWNERS GROVE, Illinois—The DuPage Foundation is pleased to announce the hiring of Laura Ernst and Rachel Szymanski as new staff members. Ernst, in her new role as program associate, will be responsible for the administration of the Foundation’s grant processes including scholarships and grants from our donor-advised, agency, and designated, Community Needs, and Bright & Early DuPage programs. Ernst, a lifelong resident of Naperville, graduated from Knox College in June 2015 with a bachelor’s degree in Environmental Studies and minors in Economics and Business & Management. She also studied abroad in Copenhagen, Denmark. After earning her degree, Ernst completed a year of full-time service as an AmeriCorps VISTA at Northern Illinois Food Bank. She is succeeding Elizabeth DiNovis, who, after three years of dedicated service as the Foundation’s program associate, was recently accepted into the University of Illinois at Chicago’s master’s program in Public Health and will be pursuing a concentration in Health Policy and Administration. 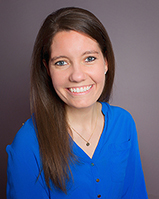 Szymanski, in her new role as development associate, will assist with all aspects of donor relations and marketing and communications efforts. assistant for the National Kidney Foundation of Michigan. She also held the position of program director at Neithercut Philanthropy Advisors, a Detroit-based consulting firm, which specializes in helping high-net-worth families and foundations reach their philanthropic goals. Szymanski holds a Master of Arts in Ethnomusicology from Michigan State University and a Bachelor of Arts in Sociology and Music Performance from Albion College. She is now a resident of Downers Grove.